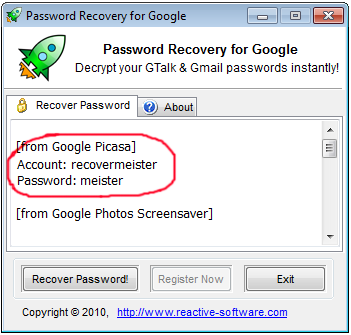 Picasa password recovery - easily decode and decrypt your Picasa password! 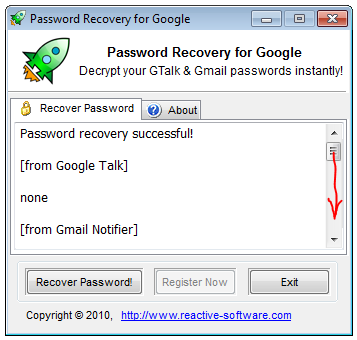 It is very easy to check whether your Gmail passwort saved by Picasa can be recovered. 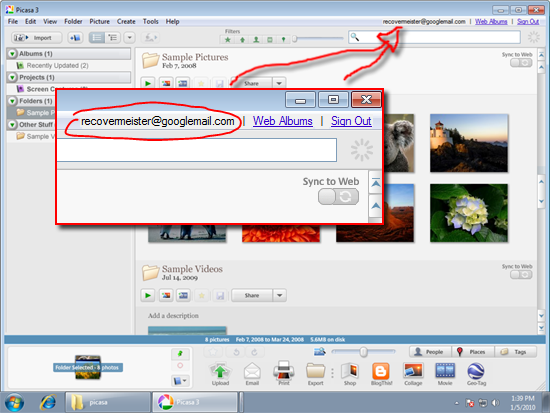 Picasa will show your Gmail account name in the top-right if the Gmail password is saved in the system. This means you can easily decode and decrypt your Picasa password. Make sure you do not accidentally click on the Sign Out button! Next section covers the retrieval process in more detail. Your Picasa password will be shown along with your retrieved username. We have a specific page on how to change password in Gmail should you decide to change your Gmail password to something that will be easier for you to remember.